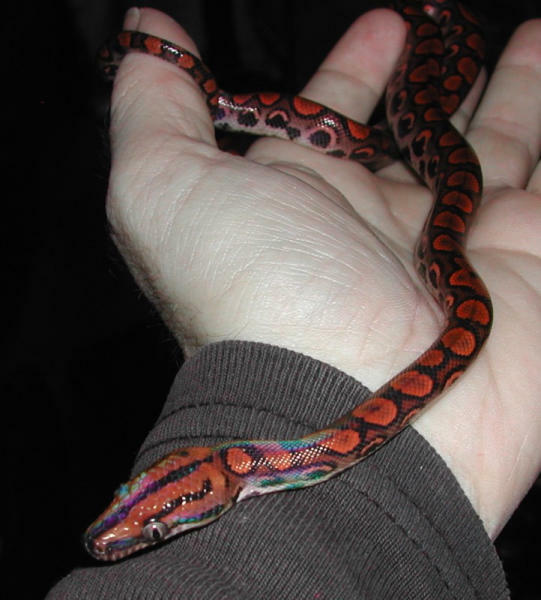 Description: my young Brazilian Rainbow male. red phase. Sweet and curious already and so very iridescent.